Some mornings, it’s too quiet around here. Once Rob leaves for the day and Emmerich goes down for his nap, I’ll sometimes sit on the couch and catch a few moments to myself before I either start working or attack the dishes in the sink. It’s in those moments that it hits me the most that Dax is gone. Back in July, I found a few lumps on Dax’s throat. A couple of vet visits told us what I didn’t want to hear. 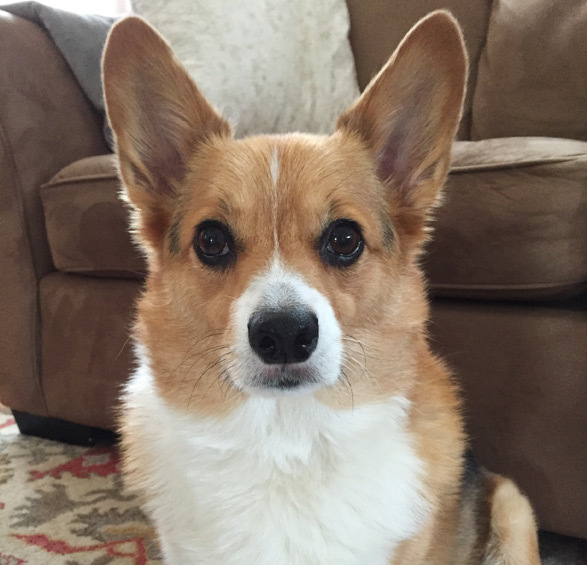 Dax had cancer, lymphoma to be specific. We tried chemotherapy for many weeks, and it did seem to help. He didn’t have as much energy as before, but at least we could cuddle and enjoy walks together still. A few days before Halloween, Dax let us know it was time. We put him to sleep in the comfort of our living room, so I could hold him and he wouldn’t be stressed out. After he was gone, I went to sit in the car and sob, where I could cry as hard as I needed to without waking up the baby. I think I’ve been gone from this space for so long because I knew I’d have to write about this, and I wasn’t sure how to do that yet. Every time I’d sit down to write, about anything at all, my brain would stop the words. I can’t even type this out without crying. I miss him so much, and it’s hard that Emmerich does too. When he hears a dog barking outside, he immediately gets excited and exclaims, “Dah-daw!”, his version of “Dax dog”. When you tell him it’s not Dax, he cries. I didn’t expect Em to remember him so well or to miss him so much. It does help to have such an active and adventurous little love to help me smile every day. Emmerich turned a year old in November, and he loved his cake! I spend a lot of my days taking care of Em, but now we have a wonderful nanny who comes a few times a week so that I can get more work done. I have been working a lot, doing technical editing jobs and writing and sewing for a new secret adventure that I will be able to tell you about in a few more weeks. I do want to share some of what I’ve been making. It hasn’t all been for work, some of it has actually been for me! There have been 3 Linden sweatshirts, 2 Morris Blazers, 1 Lark (I love Grainline Studio, can you tell? ), 2 knit hats, 20 different dresses/shirts/skirts/pants for different jobs, 1 wedding capelet, 3 Christmas stockings, 1 quilt and several other in-process items. Yowza! I honestly haven’t had a chance to wear my Morris Blazer yet. I had thought I would wear it to the symphony recently, but then I was cold and wore a sweater instead. I made the blazer longer by 2″ because I think that will look better on my frame, but for my next one, I think I’ll keep it short. Also- gray? Ugh. I have got to buy more COLOR! Going through my closet recently, I decided I am banned from buying any more gray. That’s going to be a challenge for me! 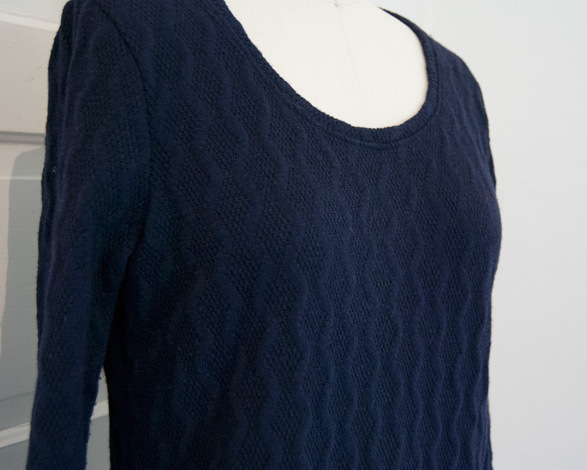 My navy Linden (made out of a Pendleton fabric I’ve had for a good year and half) is deliciously soft. The French terry fabric does tend to grow a bit during the day though. I made a second one of these for my Mom, but I didn’t have much fabric and had to put 3/4 length sleeves on hers. It turned out really cute! Of course a made a gray one- ha! This is a double knit from Mill End, which was super soft when I bought it. Within 2 wears and one wash, it is completely pilled. It’s relegated to my “wear around the house only” rotation. 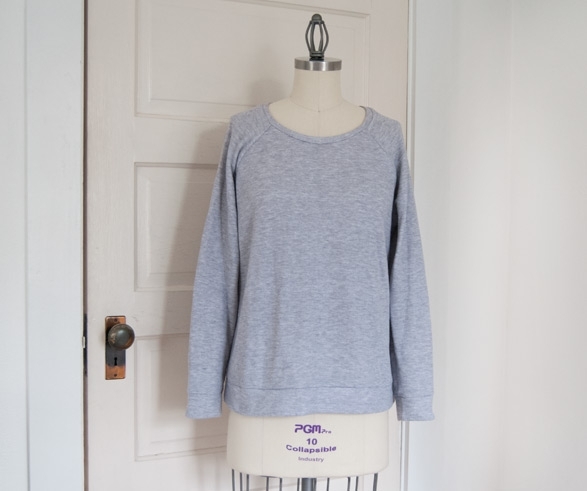 Guess I’ll just have to buy some more French Terry from Hellgate Fabrics and make another one! 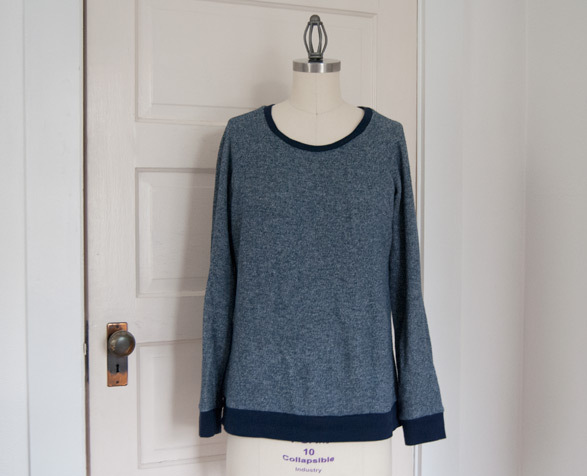 I found this navy sweater knit with a faux cable at Mill End too (I love that place, can you tell) and made a Lark. It was the last of the bolt, so I got a really good deal on it. I like the shirt itself, but this fabric is pretty itchy. I don’t see me wearing it very much, if at all, because of that. I have knit two little hats for Emmerich. 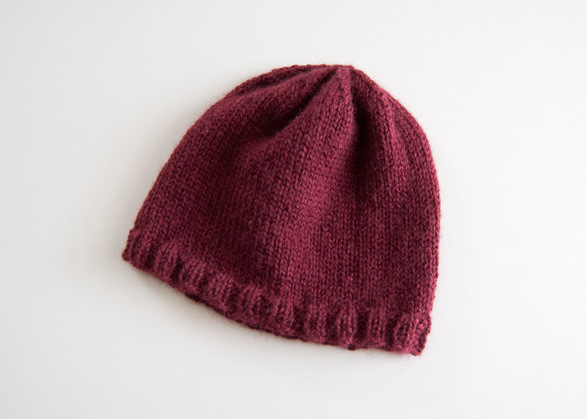 Baby hats are great projects for using up bits of leftover stash yarn. I made him a little yellow one from some cotton I had on hand, and then this burgundy one out of baby alpaca to match my own Jul hat. Yep- I’m that mom! 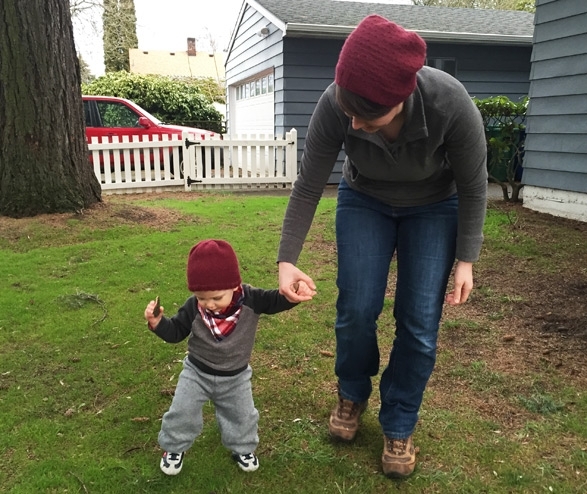 On one of our Fabric Depot trips, I hadn’t noticed that Em and I had on similar sweaters, navy pants and our matching hats. A little girl checked us over carefully, and then exclaimed, “You guys match!” I had to laugh, because I hadn’t done that on purpose! Pretty soon I do hope to make he and Rob matching flannel plaid shirts though. 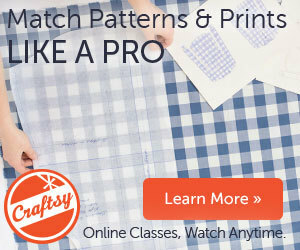 That’s pretty high on my sewing priority list! 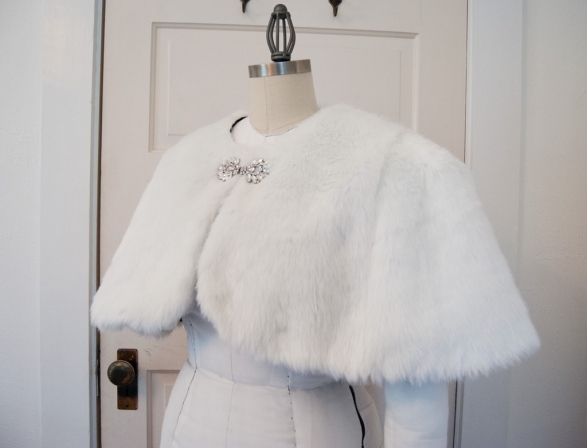 One of my fun work projects that I can share is this vintage inspired wedding capelet for a winter bride. 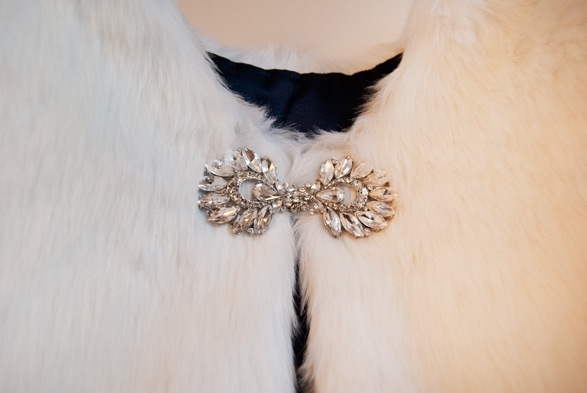 It is lined with a navy satin and has a very sparkly diamond clasp at the neck. I don’t mind working with faux fur because I know the tricks to use to make sure it doesn’t shed too much. I’m happy to say the bride loves it! 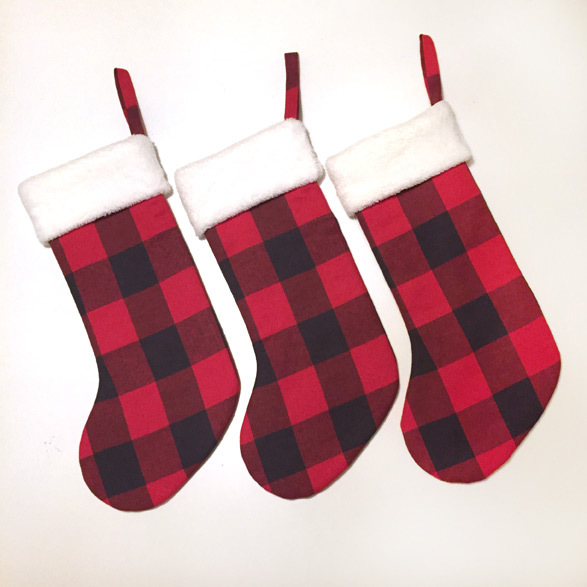 One super fun project I snuck in was making Christmas stockings. I told myself that it was okay to buy them, I had enough on my plate already. But then I saw this buffalo plaid and faux fur at Joanns and the next thing I knew I was cutting them out. I’m really happy I made them. I finally have stockings in the colors and fabrics that I want! Plus, I love that Em will use something that I made for him every year. Watching him pull toys out of his stocking was really fun! It feels so wonderful to write again. I think it will help me with the loss of my dear Dax, and I have many more ideas for tutorials and projects that I’d like to share with you soon. This entry was posted in General, Life, Projects and tagged Dax, knitting, sewing on January 19, 2016 by Amy Alan. I’m sorry to hear about your pup, Jess. I think it’s hard no matter if they go of old age or something as awful as cancer. I am glad that he is no longer in pain, but yes, I feel terrible for all the times I was lazy and didn’t take him for a walk. I hope it gets easier! So sorry about your sweet doggie..what a hole in your heart that must be for you all. Take all the time you need to grieve for him. It is a empty space in my heart and definitely an empty space in our home. I find myself still checking for him under my desk and under my feet whenever I move. Thanks for your support and kind words! Oh, I shed a few tears with you while reading because I had to put my kittie Ben down a few month ago also. So hard to put them down when they are sick. Hopefully it will get easier soon, for both of us! Oh, I’m so sorry to hear that! It is so hard, both to see them go and to make the choice to let them go. Yes, I hope it gets easier soon! Thanks for your sweet words and the hug, Barb! I wasn’t really sure that he would “tell me it was time” like I read he would. But on his last day, he wouldn’t eat, even though I made him chicken, sweet potatoes, rice and cottage cheese. Not even ice cream could excite him, and that was a huge sign for me. Oh, what I would do for one more kiss between his eyes though! I’m sorry to hear about you losing your own pup. Hugs to you as well! For both of my Goldens it was Costco rotisserie chicken. When they finally turned their noses away from that delectable treat (which would normally cause them to turn inside out with excitement), it was what I needed to “hear”. Oh definitely. That moment when they don’t eat it is so heartbreaking! Oh my gosh- I don’t have any idea what the last time was I cried like that. It wasn’t even crying, it was wailing and sobbing pushed together in a heaping mess. I don’t know how much longer I’m going to last without a dog though. I’ve been constantly searching the animal rescues and looking for the perfect pup. I have been borrowing the neighbors dogs to take them for walks because walking a dog is my stress reliever! Oh honey, if I could tell you, I would! 😉 You will be very happy though! 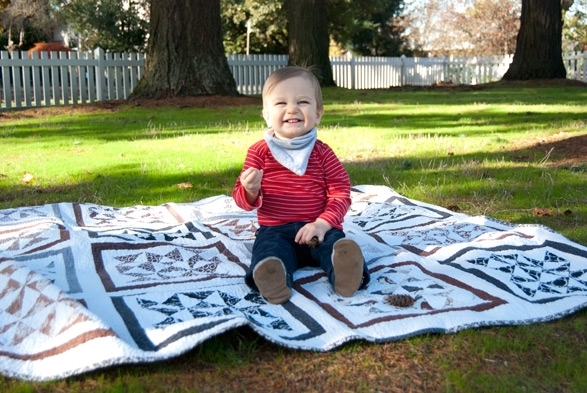 And thanks- I think Emmerich is quite the cutie too! Amy, I’m so sad for you & the loss of your dog… My last boy went to sleep at the age of 14 last May & we were all absolutely devastated. We still are. But in December our hearts started to open again & yesterday we picked up our new puppy, a girl! She won’t replace our beautiful boys but she will fill the space left in our home & lives that only a dog can fill. It’s a lovely feeling knowing we will in fact love this girl, we do already, even though I look at the photo & painting of the boys every day & my heart hurts. I’m sure you will love another too some day! I’m so sorry to hear you lost your lovely boy too. What a huge loss it is! It’s wonderful that you found and have a new little fluffy love. I am looking forward to finding and loving another dog someday. I’m looking at the shelters and hoping to find one soon. It is so hard to have that empty space in your home! Thank you for your kind words. Very sorry for your loss. Our pets are part of our families. Your presence here was missed. Glad that you’re feeling better and able to rejoin us and continue sharing your wonderful work. Thank you very much for your kind words. Yes, I am happy to be back! Oh, Amy, I just cried and cried, for your pain and remembering our little 18 year old toy poodle Scamper. Putting him out of his horrible blind, deaf, painful life was wrenching with sobs so deep I didn’t even believe they came out of me. Even 5 years later if I see something white in the corner of my eye, I look down expecting to see him. You and Em will be in my thoughts and prayers as you laugh about the funny things Dax did, and grieve his loss. I’m so glad you are back. I know how you feel 🙁 we brought 3 dogs with us from England to Sweden, after the last one past away my mum said she was going to travel & such as she wasn’t tied down anymore. She lasted 6 weeks & then we bought her a new dog, she was unhappy & lonely without a dog (both my brother & I had already moved out). It’s been years and I still miss all my dogs, they were family! I’m hardly lasting over here without a dog! I have been borrowing the neighbor’s dog for walks, because I realized after Dax was gone that walking him was my daily stress reliever. I am checking the animal adoption sites all the time, but I haven’t walked into a shelter yet. I know that if I do, I will most definitely walk out with a dog! Sweet Dax! I’m so very sorry, and really hope that each day it gets a bit easier. And I’m glad Em cheers you up- he is so gosh darned cute! Your sweatshirts are all so cute! Can’t wait to hear about your secret adventure! 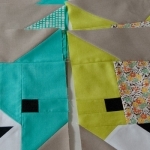 Newer post: My Brand New Craftsy Class and a Giveaway!